Proddow and Mackay solicitors chose Arrow to help move their archives to a new warehouse where they were then reordered by us. 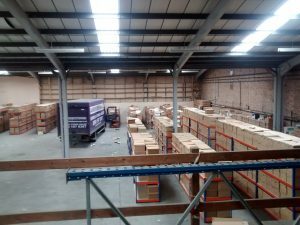 Arrow Removals were unfazed when we took control of a 20,000 box archive move for Proddow Mackay solicitors firm in Sheffield. This technical and vast move highlights the unrivalled professional standards that we bring to all of our removals in Sheffield and beyond. The size of this move is highlighted in the pictures to the right where you can see the new warehouse slowly taking shape. All of these files, each of which were highly important, were in alphabetic order. Once delivered at PM Law’s new archive centre they needed reordering back into their original sequence before placing on the shelves. Our team of movers meticulously ordered each of the boxes whilst our satisfied clients continued with their legal business. Just like Proddow and Mackay, you’ll be in safe hands with Arrow Removals in Sheffield. The scope of Sheffield Hallam University is far reaching, with over 30,000 students and nearly 5,000 staff they are one of the biggest educational institutions in the UK. 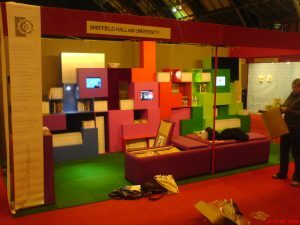 The university relies on the Arrow Storage facility in Sheffield to store many of their key promotional materials for various showcase events they attend around the calendar. These materials include their complicated Tetris stand which can be seen in the images on the right. When the stand is required Arrow Removals of delivering, erecting, dismantling and collecting the piece. Our partnership with the university has spanned over the last seven years and is further testament to our professionalism. Here at Arrow Removals in Sheffield we’ve played our part in delivering a touring play to a variety of venues around the United Kingdom, including to the prestigious London West End. Our vehicles followed the Matt Bugg Productions play up and down the country carrying vital pieces of their set design and costumes. Due to the important and integral nature of our cargo during the tour it was imperative that we kept to the productions tight schedule and arrived on time for both delivery and collection. The set, props and costumes remained in Arrow’s storage facility from the end of one tour until the start of the other. Our management of the play’s logistics has led to Arrow Removals being chosen to manoeuvre the play for the last three years on the trot. This work also lead to us storing and moving scenery for the Cast theatre in Doncaster. As one of the leading names in the organisation of Sheffield outdoor events, Yellow Bus Events have a busy schedule around the city that often needs our assistance. Events that the firm have been a part of include Sheffield’s annual After Dark firework display and the Halloween event, Fear Fest. In conjunction with Yellow Bus Events, Arrow Removals played a part in one of the biggest pieces of Sheffield sporting history, The Tour de France. Yellow Bus needed our help to transport some of the temporary roadway that was used during the Tour when it passed through Sheffield. Used Arrow to move house. I thought they’d struggle to get one of my sofas into the new living room, but they pulled off some secret removal magic to get it through the door even though the measuring tape said no. I’d be happy to use them again. Have used Arrow for many years now and always been great!!! I used Arrow Removals when I moved home. 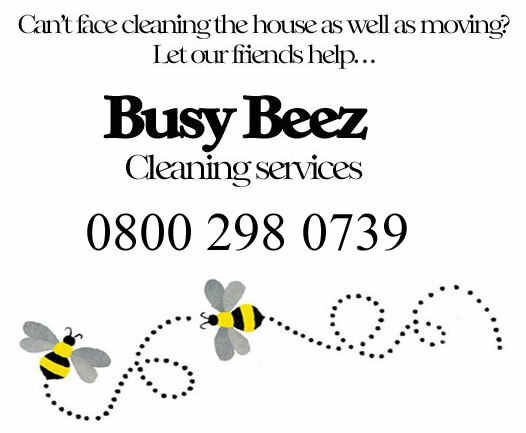 They were good value for money, prompt, efficient, careful and helped to calm me at what can be a really stressful time. I have some really large pieces of furniture and Steve moved them seemingly without effort (3 shredded wheat for brekkie obviously). It so takes the pain out of moving when you can rely on the professionals. I’d highly recommend them and have done already. Great thanks to Steve for the fantastic job last Saturday. Your service surpassed all our expectations and we are pleased to say that you are very efficient and experienced. Please pass on our sincere thanks to your team too. They were so friendly and our moving couldn’t be easier without them. we will definitely recommend your services to others. We’ve used Arrow Removals for four UK tours of our stage production and I can’t praise Steve and his team highly enough. They are reliable, competitively priced and an altogether pleasure to work with. 1st class removals professional reliable friendly service, thanks for my hassle free house move 100%. 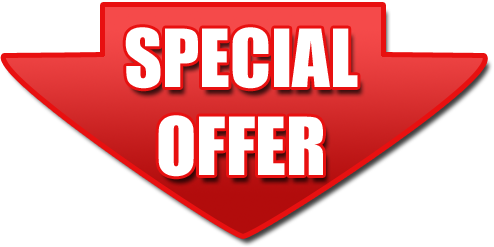 For more information on moving services, storage services, and Arrow Removals in Sheffield, contact us on 0800 197 9397 .